I love sediment (I even like how it settles at the bottom of a cup of Turkish coffee). I figured the least I can do on this blog is comment on sediment in the news. A few days ago the BBC published this article on their website about the shifting sands of the Sahara. The sand dunes are slowly, but surely, advancing their way south and pushing communities in Nigeria out of their way. One of the issues, is that the villagers are continuously cutting down trees for firewood, which is opening a clear path for the sand to migrate through. What to do about it? Well, there’s not too much, especially for remote communities struggling to get by as it is. In other areas engineers have tried sand fences with limited success. 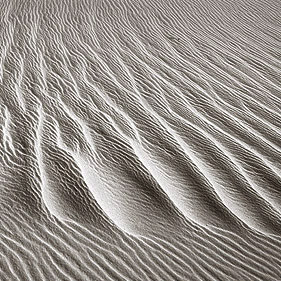 Check out this article that discusses the mechanics of dune migration in a little more detail.